One of Portland’s underground icons needs your help. 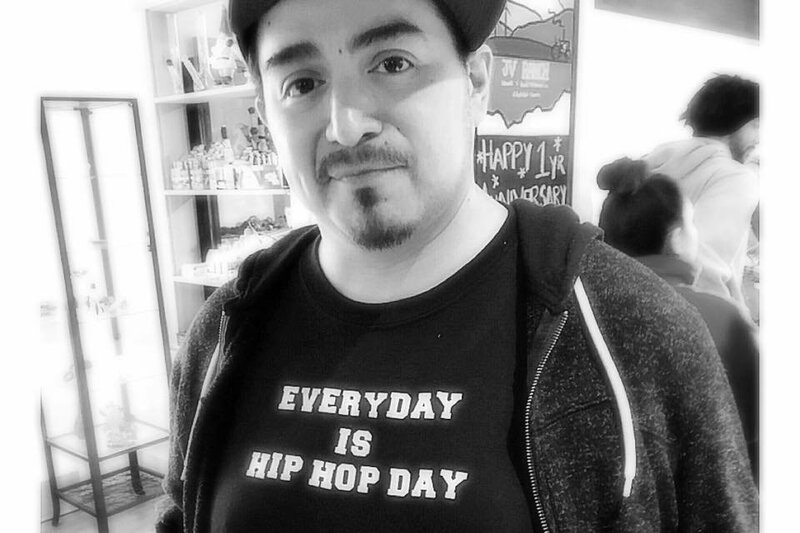 Anthony Sanchez, founder of Runaway Productions, has lived his life with “mad happy” dedication to our city, local hip-hop artists, music in general, his friends and family, and most of all to his ten year old son. This campaign is now asking for his friends and the city at large to step up and pay it forward! On January 10th Anthony was rushed to St Vincent Hospital suffering the first of a series of strokes. Early on, it appeared he would survive with slight paralysis and a blood clot. However, over the following week, Anthony suffered two more strokes and a heart attack. Undeterred by insurmountable odds, he continues the fight. nothing more than a dream of fostering young northwest hip-hop talent and providing quality entertainment for the city of Portland. Since then, Anthony has organized countless shows in this city, perhaps in the thousands! He booked for venues from Berbatis to Crystal Ballroom, brought the biggest artists in the world, and organized a variety of events ranging from fashion shows to political fundraisers. If you have ever enjoyed live music, especially great local hip-hop, in Portland, you’ve been to an Anthony Sanchez joint. back to Portland. Anthony embodies the ‘old Portland’ that so many do not want to see go, and he dedicated his life to a keeping-it-real vitality for all, asking for nothing in return but an appreciation for art, music, and a crowd of smiling, friendly faces at his shows. Anthony and his family need our support, now more than ever. Anthony was never one to ask for the spotlight but his family realizes that we cannot succeed without the community’s help. Medical bills are piling up fast, his partner Samantha, who has been his rock, is running out of paid time off and his son faces an uncertain future. Please donate what you can to help us ensure that we can support this Portland landmark and keep the legacy alive! help raise money needed for his bills. More information to come! **UPDATE** As Anthony continues to fight, we are getting a better picture of his long-term prognosis and the financial responsibilities surrounding his care. For these reasons we have raised the goal of his campaign. The family has been comforted by the outpouring of love and generosity, they sincerely thank everyone who is donating.